From fueling the body, to proving yourself from the back of the room, to the independent work required of a professional, Miami City Ballet’s Rebecca King recaps the lessons she’s learned in her five years of company life. Our giveaway today comes from Balletband. Balletband is a heavy duty latex resistive stretching band specifically designed for dancers offering a hands-free alternative to traditional stretching techniques. 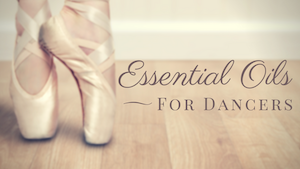 Looping the band around one foot and the opposite shoulder, dancers can stretch and strengthen their extension in arabesque, à la seconde, or croisé. The band’s resistance also effectively works the legs and turnout in a seated straddle position.